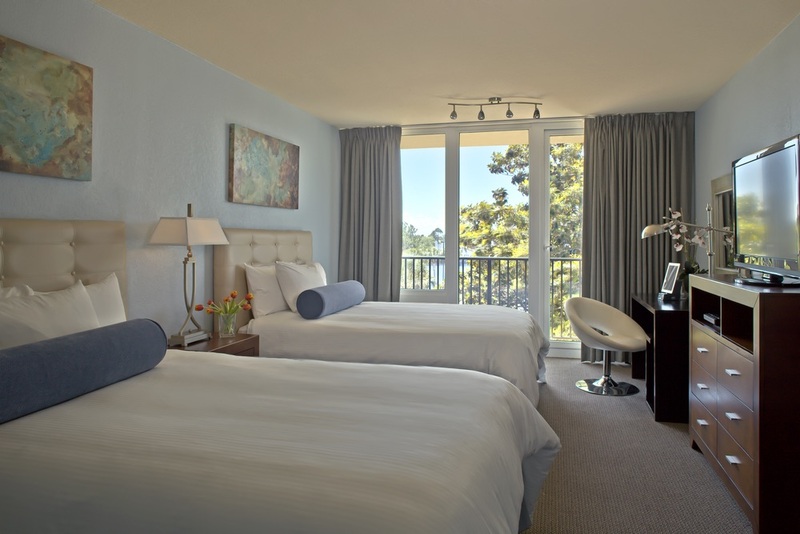 LeCiel, a contemporary boutique hotel experience at Sandestin Golf and Beach Resort, opened to rave reviews this past Memorial Day weekend. LeCiel hails as the newest hotel for the discerning vacationer. Robert Schamber, head of operations for LeCiel and Sandestin Golf and Beach Resort, believes the vision of transforming one of the original properties on the resort into a chic South Beach–inspired hotel has been realized. “We’re confident that guests will appreciate this beautiful setting, as well as the contemporary look and feel,” Schamber says. The new branding tagline, “Where the sky ends, LeCiel begins,” is exceedingly appropriate. LeCiel enjoys a prime location along Choctawhatchee Bay and is just a short distance from the sugar-white sand beaches and alluring emerald green waters of the Gulf of Mexico that bring guests back time and time again. Travelers from the world over will experience a memorable stay at the hotel, soaking in the inspiration and aesthetics of the tranquil colors and lush landscape, while the elements of water, beach, bay, sun, and sand soothe the body and soul. Formerly the Bayside Inn, one of Sandestin’s first multistory resort hotel buildings, LeCiel underwent a $2-million transformation; interiors now boast rich mixtures of chrome, wood, copper, leather, and fabrics. The theme of water abounds inside the boutique hotel: water walls (yes, walls of water) flow indoors, and cool blue and green hues set the tone of the experience before guests even get their first glimpse of the open bay. 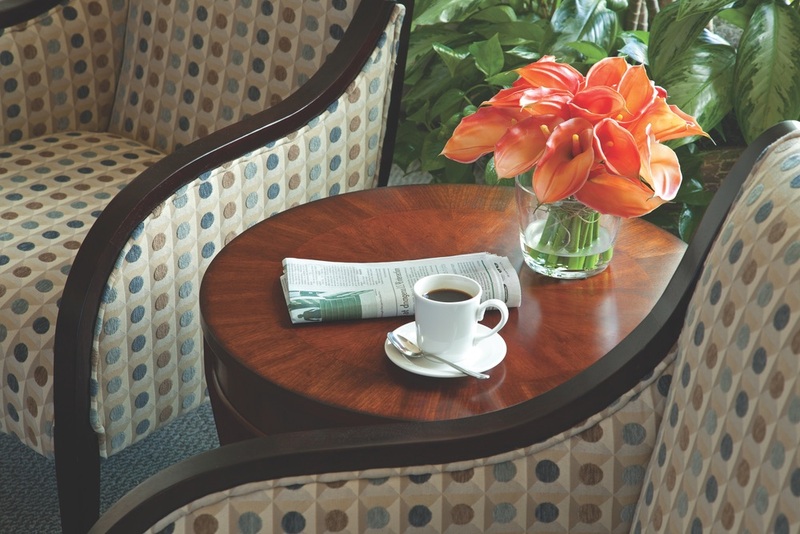 The boutique environment provides the perfect getaway for the astute traveler. Accommodation choices include one-bedroom suites and king and double-double guest rooms with handpicked, sophisticated decors. Each one-bedroom suite features a full kitchen and dining room, and the studio room option includes a refrigerator, a microwave oven, and an in-room Keurig coffeemaker. All guest rooms have upgraded linens, terry robes, gourmet coffee, iPhone docking stations, flat screen televisions, spa-quality toiletries, access to wireless Internet, and other luxurious comforts. It’s just a quick trip down to the enchanting entrance and lobby where guests can, as a bonus, ask the front desk for the use of binoculars for dolphin or bird watching. Guests may also take in views of the bay from the lounge or the patio while enjoying a cocktail, listening to the sounds of water, and relaxing with that special someone as the sun says good night over the bay. Other amenities at LeCiel include an elegant pool with food and beverage service, which includes a wide array of tempting cocktails. In addition, LeCiel is just steps away from the Sandestin Day Spa, featuring a full menu of award-winning spa and salon services. Guests are also given complimentary access to the nearby Sandestin Fitness Center, where guests have the use of the sauna and exercise equipment. In addition to being the perfect destination for travelers, LeCiel is also a lovely new waterfront location for hosting large events. The pool deck and the LeCiel ballroom are beautiful settings for weddings and large group meetings. Sandestin Golf and Beach Resort, nestled on 2,400 spectacular acres of prime Northwest Florida real estate, was rated the No.1 Resort on Florida’s Emerald Coast. With seven miles of pristine beach and bay front, the resort features the best in Destin accommodations with 1,300 condominiums, townhomes, villas, and hotel-style accommodations within thirty charming neighborhoods. Sandestin also features four championship golf courses, fifteen world-class tennis courts, nineteen swimming pools, a ninety-eight-slip marina, a fitness center and spa, 65,000 square feet of meeting space, and The Village of Baytowne Wharf, a twenty-nine-acre village featuring boutique shops, casual and fine dining restaurants, and nightlife. 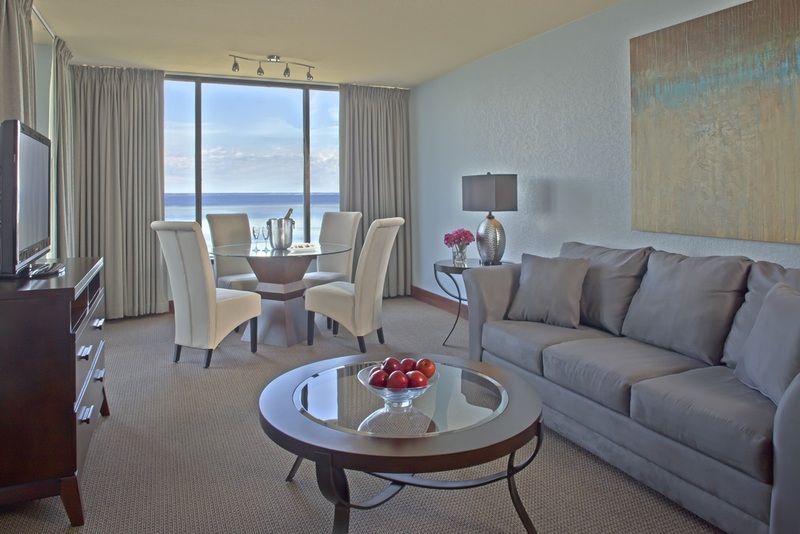 LeCiel adds a luxurious tropical atmosphere to the already charming Sandestin Golf and Beach Resort. 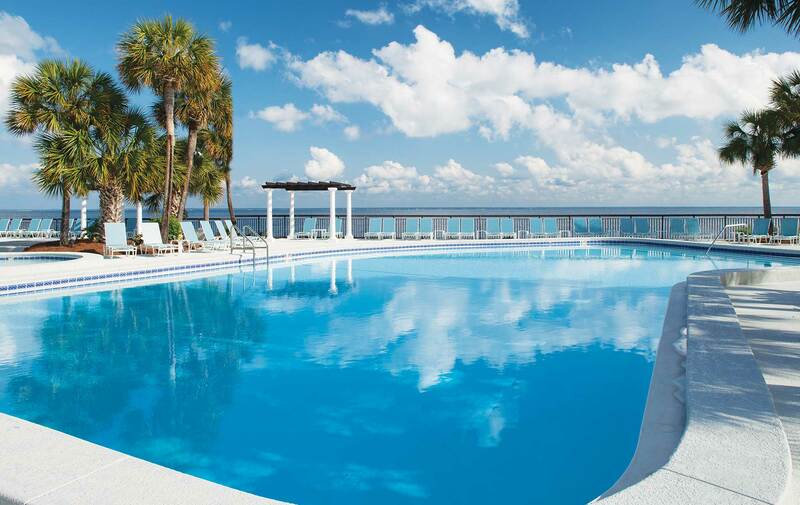 Guests are assured to get the pampering they deserve while visiting the Emerald Coast. For more information, visit HotelLeCiel.com.